Actiniidae with elongate body. Column smooth or provided with more or less distinct verrucae in its upper part. Margin with a collar. No sphincter, no spherules. 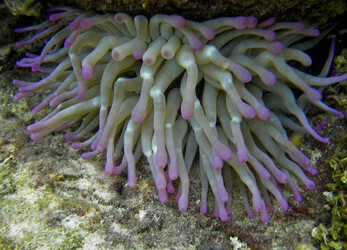 Tentacles simple, rather long, hexamerously arranged, they can probably not be wholly covered by the upper part of the body, their longitudinal muscles ectodermal. Most of the mesenteries perfect and fertile, except sometimes the directives. Retractors diffuse. Not more mesenteries at the base than at the margin. Cnidom: spirocysts, basitrichs, microbasic p-mastigophors.